The former lands of House d'Mollari were destroyed and conquered by the Qutunax when they first rampaged over the mountains into both Aequor and Galenthia in late 1872. For over a year, the city of Paras and the surrounding countryside belonged to these invaders until early 1874, when they were conquered again. This time, however, the conquerers drove the savages from the lands and raised banners and pennants not seen since the times of the Kingdom of Marinor. The conquerors were the Legio XIII of the Vir Sidus Remnant, here in the West on a daring plan to undermine their now hated foe. Led by the Princeps Darius Firebrand, the Legio XIII defeated their enemies and began to rebuild Paras into a proper Imperial Colony and military Fortification for the Legion on it's mission to the West. 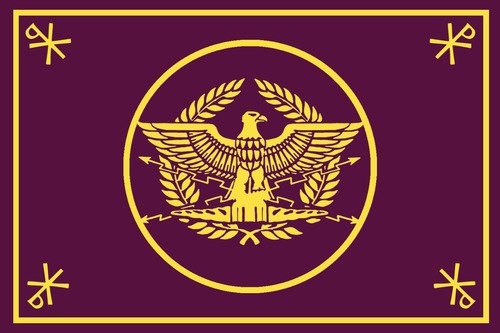 Having freed several villages and slave camps, the Princeps have declared them Imperial citizens, and have given them Imperial rights and duties to the Empire. Houses both the Legion XIII Asterrea and the Legion I of Paras.